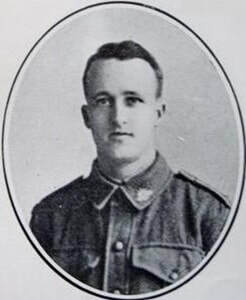 Son of Fritz and Julia Jane Bremer, of Bunkeek, Russia. 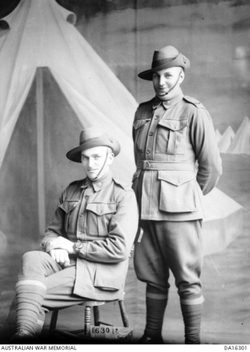 Studio portrait of 6254 Private (Pte) Claude Arthur Butler, 12th Battalion and an unidentified soldier (positions unknown). 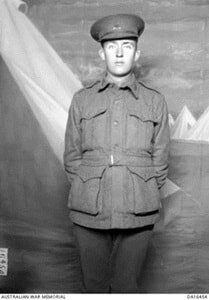 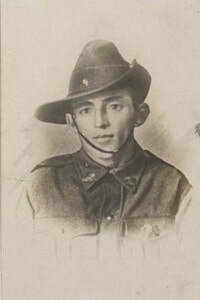 A farmer from Nook, Tasmania prior to enlistment, Pte Butler embarked with the 20th Reinforcements from Melbourne on HMAT Botanist on 24 August 1916. 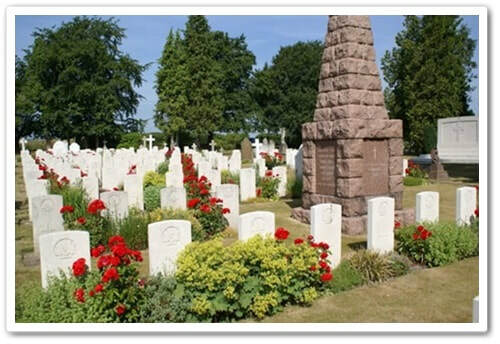 After arriving in England he became ill and, on 26 July 1917, aged 23, he died from tubercular peritonitis and was buried in the Durrington, Cemetery, Wiltshire, England. 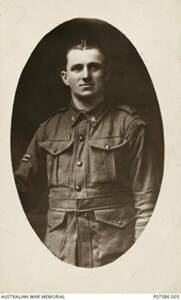 Died of illness 28-3-1917 aged 28years.